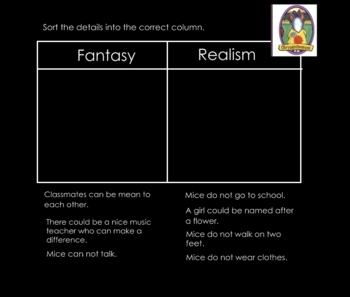 This Smartboard lesson will help your students understand the difference between fantasy and realism in the fictional stories they read. 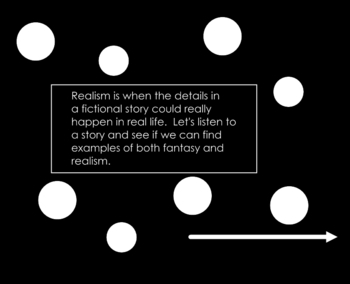 There is a link to an online story that the students can listen to and then sort details into a fantasy or realism category. 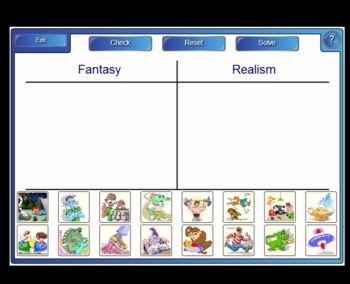 There are also additional activities to practice the concept. This is a nice companion to my Fantasy and Realism Sort (included).